With hopes of excavating the remains of Sheffield Castle high, due to the forthcoming demolition of market buildings that currently stand on the site, a new group, Friends of Sheffield Castle (http://friendsofsheffieldcastle.org.uk), has been formed to research the castle, raise its profile, and contribute to decisions on the future of its site. 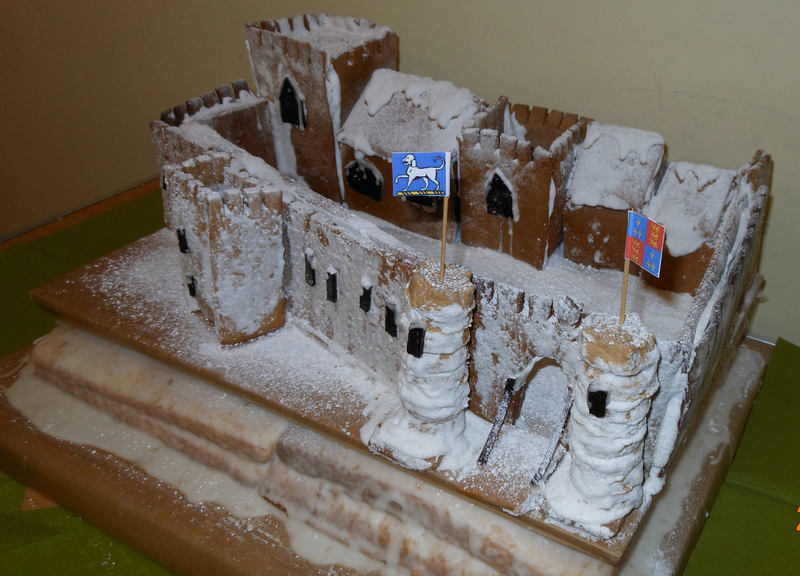 Enthused by the project, Linda Williamson (a member of local amateur archae-ology group, The Time Travellers) created this sponge-cake model of the castle, with gingerbread and icing buildings. It was delicious, but the demolition of the ‘castle’ by our members proved even greater than that achieved by the Parliamentarians at the end of the Civil War. Crumbs! This edition of edible archaeology appeared in issue 283 of Current Archaeology.